DanceLand is my newest project offering a platform to connect dancers and dance lovers. We're starting out with dance news and videos with much more to come. I'm now focusing my blogging efforts on Crowdfunding For Musicians, a blog on the way to a book about crowdfunding music. Check it out! I regularly see stuff about blogging that would be perfect for this site but I've just been too busy with other projects to do anything about that. So I've decided to share those links on Twitter at twitter.com/thisbloggingbiz. See you there! I wrote a piece for Hypebot on putting blogging at the center of your music marketing. However, I think most of the points are actually relevant to just about anyone who wishes to market themselves, their product or their company on the web. Billboard recently held their 2011 Touring Conference & Awards. Quite a bit was said about social media for business, which I discussed at Hypebot, including Nic Adler's story of how blogging helped save LA nightclub The Roxy. During a down period for both their business and other similar businesses in LA, they refocused their website and featured a blog. As he recounts in the above video interview, one of the first things that happened was a flood of critical feedback from folks who had been to the club. Instead of taking the rather foolish damage control route and shutting down comments, they took the criticisms seriously and began to improve the club. Soon business was improving and the blog started drawing traffic from folks interested in music whether or not they attended shows at The Roxy. Now the blog has become another selling point in encouraging hot young acts to perform there because they know they'll get an extra marketing boost from The Roxy's blog. It's a nice story but note that this approach worked because they were willing to respond to customer criticisms. If you can't do that, you should not take your company into the land of social media. And, if that's the case, maybe you should rethink your company's existence. His basic take is that instead of sitting around, depressed, watching your benefits run out, you could be blogging about an industry or business topic you know well. In the process, you've got something on your resume other than evasive ways of saying that you were sending out countless resumes and crying a lot. Marco takes a humorous Brit-flavored approach but that last line was mine and a way of saying, I feel your pain cause I've been there, literally. Beyond having a resume filler, which you could also get by doing volunteer work, taking classes, etc., industry blogging gives you a great networking tool focused on the area in which you want to get a job. "A blog is a talking point. If you have a passion then keep a blog about it. The fact you’re involving yourself is enough to feel a part of something – and I don't know what is more important to human existence than belonging." That's a really strong point because if you've been unemployed for a considerable period, it can undermine you psychologically in ways that those who have jobs will never fully understand. If you do decide to get into industry blogging, it can also be a great way to show you keep up with how your industry is changing. If you follow industry news and do a weekly post on something new that's happening, your blog becomes evidence that you're keeping up and not becoming irrelevant the longer you're unemployed. Once you have a blog and are posting something reasonably substantial at least once a week, it can then be a valid reason to contact people in the industry for short interviews for blog posts that also provide networking moments. Doing the work of keeping up with and responding to the news, talking to people in your industry and using your blog as a basis for networking also keeps you learning new things every week. It's a lot easier to pursue new information when you have a weekly goal that focuses your learning. Blogs can also help your networking by providing an RSS feed which can be fed to a Twitter account, LinkedIn profile or the like. So it helps build your identity on social platforms that are also powerful networking tools. Blogging can be so powerful if you take it seriously, but not too seriously, and use it as a basis to build your personal brand and network in your industry. Though I'm subscribed to the behyped email newsletter, which is free and available via a sign-up box on that blog's side bar, I found this post via The DIY Daily. I hadn't planned on including really basic tips on this blog because there are already so many great resources available for that kind of thing. My current How To's & Tips section is focused primarily on blogging as a business but not so much on getting started with blogging. Problogger has all sorts of great stuff for beginners, much of which is now written by guest bloggers. Checking out what they're doing on their blogs is also a useful way to get some insight. But I've just started helping out a friend who needs a website for her business and wants to try blogging. So I'm going to launch a Getting Started section on this site to discuss each element of getting started from niches and domains to finding wider distribution for one's posts. Food blogging is a growing superniche (is that a word?) with a wide variety of niches in which a lot of people seem to be using blogging either as the focus of their business or as a tool to build a bigger business. Even if you don't blog about food, there's a lot to be learned from succesful bloggers in this space. 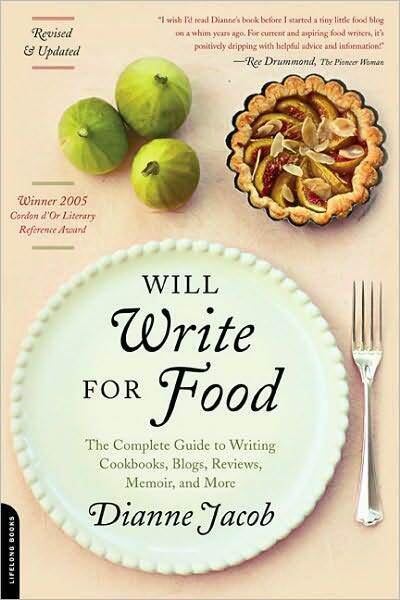 Dianne Jacob is a writing and publishing coach who has also done quite a bit of writing related to food, including a book about food writing titled Will Write For Food. Her site includes a blog that is clearly a powerful marketing tool. It allows her to demonstrate her expertise, connect with the fans of other writers and present fresh content to search engines that helps her standing among searchbots! "They need to build a devoted audience based on their specialized knowledge. Once they have a way to convey that knowledge to their readers, they need to make it very clear about what the product will do for their readers. If they outline it directly and hit a price point that provides substantial value, they’ll be in a good position." "For starters, you have to decide if you’re food blogging for business or pleasure. If it’s for pleasure, that’s fine, but that most likely means you’re blogging when you want to, about subjects that you want to, in a format that may or may not appeal to readers. You can do that (many do) but that’s not going to allow you to quit your day job. If you’re food blogging for business—meaning, you’re doing it to support yourself—you have to approach things more strategically." Mr. Roberts has also used food blogging to build his brand as well as an impressive career as a food writer. Blogging can be a great career builder. In a recent interview with A View From The Cave blogger Tom Murphy, he explains how a blog designed to document a year in Kenya led to an editorial position and, now, a move into entrepreneurship. "One of the beautiful things about blogging is you can write multiple posts in a day. It doesn't have to be one every night. So being able to put a bunch of things down and to have content that you're getting people to consistently read...whether it's a really long, in-depth piece or it's a video with a quick comment...being able to turn people on to different things has certainly been something that I've stumbled into and realized that works well." It's generally a mistake to post audio or video one hasn't had the opportunity to review. In this case, I'm banking on the solid brand of Brazen Life which also began as a blog. If you get into podcasting or vblogging, it's always a good idea to indicate the length of the podcast or video if your tech solution doesn't reveal that automatically. That way people know if they need to put a lot of time into listening and/or viewing and may have to schedule it for another time or can go for it if it's a short podcast or video. One of the reasons I didn't preview this one is that I don't have the info and I'm guessing it's a bit long for my current schedule. I could be wrong but my best guess has cost them a closer listen. I find myself at a moment of crisis, one whose details I'm mostly keeping to myself, but a crisis that I hope will become a productive turning point. I could certainly use one of those! Faced with my weariness at high volume industry blogging, something I pursued for a little over five years at a hip hop business blog I launched in 2005 called ProHipHop, I'm realizing I can't do that kind of thing right now. I sold the site and a related web property last year. That gave me some breathing room as I battled with this multipronged recession but it has not led to a new blogging business as I anticipated. Instead, after exploring numerous possibilities including two that would make fine business blogs in areas that have not been glutted, I find myself incapable of turning on the machine and building such businesses. 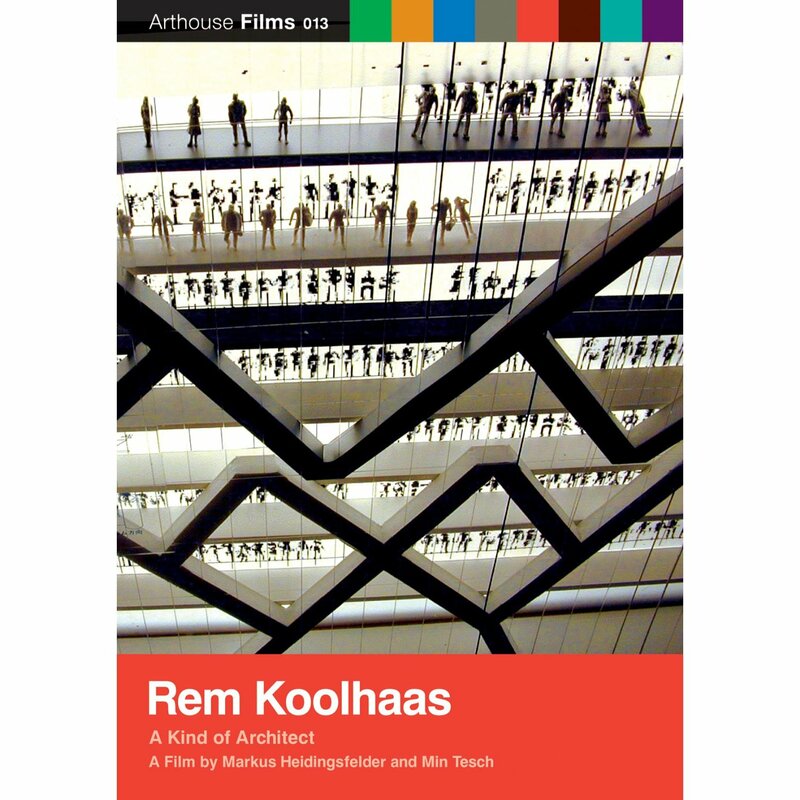 Oddly enough, my recognition that I need to take a break from such attempts and return to blogging as a means of communication and self-expression is inspired not just by my difficulties digging in but by my viewing of a documentary about Rem Koolhaas, the Dutch architect, called Rem Koolhaas: A Kind of Architect. It reminded me of my love of big ideas and meaningful details brought together productively in real world projects. But also of my love of thinking through concepts for the sheer joy of creative thought. In a sense, that's where my blogging began, back in 2002 with a blog about hip hop, culture and politics called Hip Hop Logic. The earliest version of that blog is lost and a later version became part of a web project called netweed that was intended to be a platform for alternative culture and was inspired by a number of influences that I discuss at that site. Blogging at Hip Hop Logic and building a variety of resources at netweed, some that are no longer available, taught me a lot. I went on to create other blogs about politics and alternative culture but eventually became best known in the world of blogging for ProHipHop: Hip Hop Business News. Honestly, I thought of ProHipHop because I realized if I wanted to make money blogging, I should probably write about money. It was the first dedicated hip hop business blog and allowed me to become surprisingly well known among "tastemakers" and "influencers" in the world of hip hop. I left that world for many reasons, including the fact that I had to deal with a lot of negative attacks and mishandled my response in a manner that undermined the business I was trying to build. But it was also undermining my love of certain forms of hip hop music and my desire to help other bloggers. During the early years of ProHipHop, I boosted many unknown bloggers, some of whom went on to become quite well known. And some of those were the ones who either attacked me viciously once they had the attention they were seeking or stabbed me in the back the way self-centered careerists are prone to do. I'm past most of my negativity about those betrayals but they also keep me from returning to that world and made me happy to have a successful exit. In any case, having learned quite a few lessons, my work there led to my current parttime position blogging about the music industry for Hypebot. But it has not led me to a new phase of industry blogging as I anticipated. In fact, I've decided to return to blogging about things that interest me because I need a platform to share those thoughts and to open up possibilities beyond processing huge amounts of daily news, jumping on breaking news and generally wearing myself out as have so many people in professional blogging. But I still love blogging and still think it's a great way to build a business, build a brand or just build a platform to share one's thoughts. And the latter looks like what I'm going to do.